The recent post showing photos of Spindrift the surviving zulu reminded me that Frank Carr’s book Vanishing Craft includes some nice reading about scaffies, fifies and zulus, and the conditions in which they developed. Carr reckoned that the three classes had canoe sterns because this enabled to boats to run well particularly when entering the narrow entrance of a harbour, because a sharp-stern boat type enables larger numbers of boats to crowd into the tiny Scottish harbours, and because the strength of the stem construction is particularly valuable in a tidal harbour where the boat will inevitably receive some hard thumps from the bottom of the harbour with every rising and falling tide. 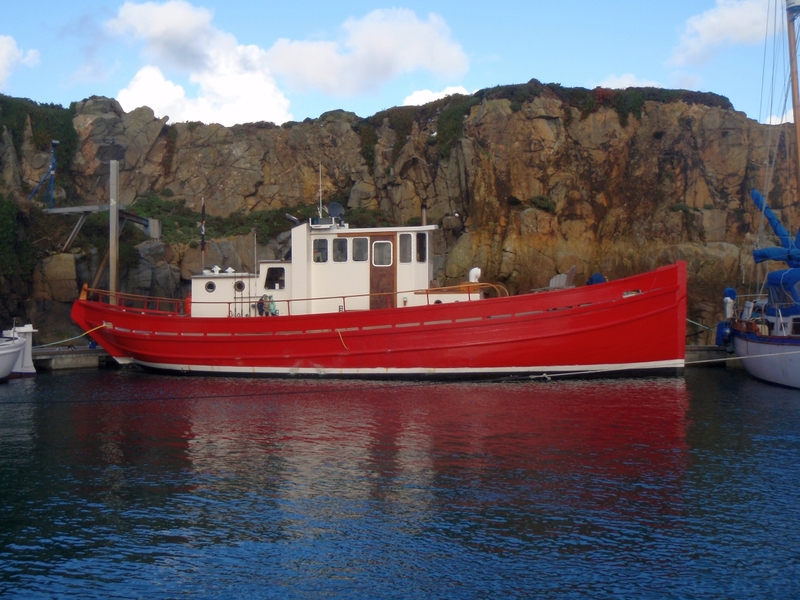 There’s a long and interesting exchange of comments following an earlier intheboatshed.net post in which fishing boat expert, journalist, author and kipper king Mike Smylie argues that the zulu was the pinnacle in British fishing boat design during the sailing era, discusses the correct nomenclature for a 50ft zulu-type, and calls into question the often-repeated story that the first zulu was a boat called Nonesuch – he says he has seen evidence that the first zulu was an 80-footer, herself called Zulu. 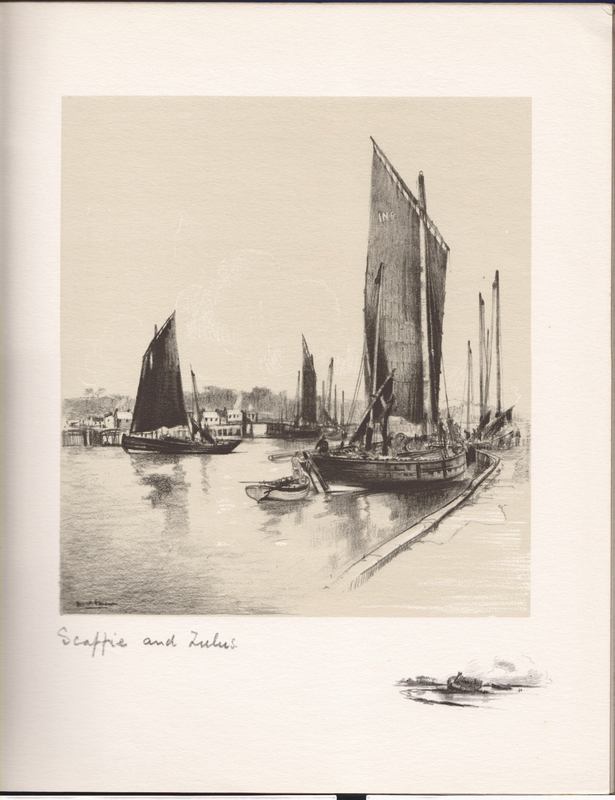 I see from Mike’s book 2002 Traditional Fishing Boats of Britain and Ireland that he lists a number of small surviving zulus, if you can get hold of a copy. And, finally, I have one more recent photo (below) of Spindrift to share, this time kindly sent to me by Adrian Perquage of Perquage Publishing, Beacette, Guernsey. Thanks Adrian! I think it’s useful to have this side-one view, not least because it shows clearly the striking stern of the zulu type. Adrian is looking for information and history relating to RN45 MFV called Makalu, which I think is the boat discussed in this news story. If you have anything to share, please let us know using the comment link below of email me at gmatkin@gmail.com, and I will pass the message on. Next Next post: Merry Christmas and happy holidays to all our readers and contributors!